As a female plastic surgeon, Dr. Sharon Giese understands the aesthetic value women place on their bodies. Board Certified by the American Board of Plastic Surgery and fellowship-trained, Dr. Giese is internationally known for her talent in various breast procedures, hormone therapy, large volume liposuction, and body contouring procedures. She is a pioneer in the aesthetics industry with the development of her signature procedures using less invasive methods to produce natural-looking results. As a vConfidence-certified physician, Dr. Giese is pleased to offer another way to non-surgically enhance her patient’s health and confidence. The recipient of multiple prestigious grants over the years, Dr. Giese’s advanced research on the effects of liposuction has expanded knowledge on cardiac risk factors and weight loss prevention following surgery. Dr. Giese’s research has been featured in publications such as Allure magazine and The Wall Street Journal. 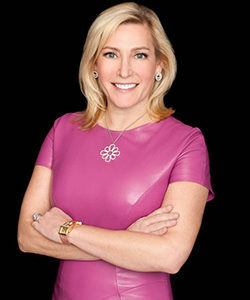 An authority on plastic surgery, Dr. Giese’s expert opinion and advice has been featured in many broadcasts, including CBS’ The Early Show, The Dr. Oz Show, FOX, TLC, ABC’s Good Morning America and NBC’s The Today Show. In addition to her private practice, Dr. Giese has been a clinical assistant professor at the School University of New York (SUNY) Health Science Center in Brooklyn. She has consulted the Federal Drug Administration (FDA) Device Squad for “Safety in Liposuction,” and she is the Medical Director and Founder of Arete Medical Foundation, Inc, which conducts medical research relating to diabetes and its prevention. This company provides diabetes prevention awareness to the public and mentors young doctors by aiding their research efforts.